New York City-based managing director Janina Casey has extensive experience working in research and equity sales at some of the world’s largest financial institutions. In addition to her professional accomplishments, Janina Casey is a long time advocate for social programs for at-risk youth and serves on the board for Urban Tech, a nonprofit curriculum developer. Urban Tech's Dignity for All (DFA )program is a comprehensive bullying prevention curriculum designed to increase empathy, respect, and other soft skills among adolescents. The program incorporates Common Core standards of grade-relevant English language arts and STEM (science, technology, engineering, and mathematics) lessons. DFA uses a holistic model that supports the development of safe and accepting school environments. 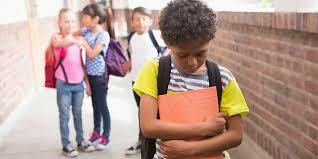 Evidence has shown that students are less likely to experience bullying in schools staffed with supportive adults. The DFA curriculum is divided into three learning stages and combines readings, digital tools, and interactive activities to inspire discussion around important topics such as the dangers and signs of bullying and the concepts of mindfulness and restorative justice.